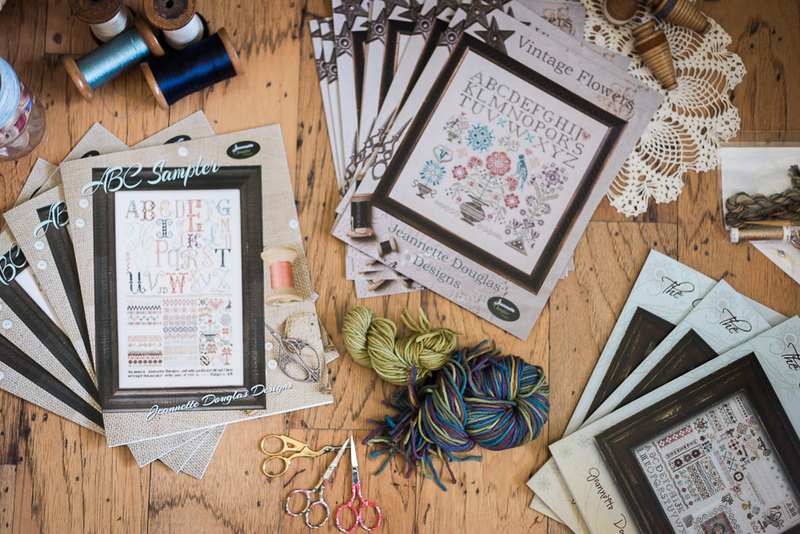 Jeannette Douglas Designs is a counted thread needlework design company based in Calgary, Alberta. 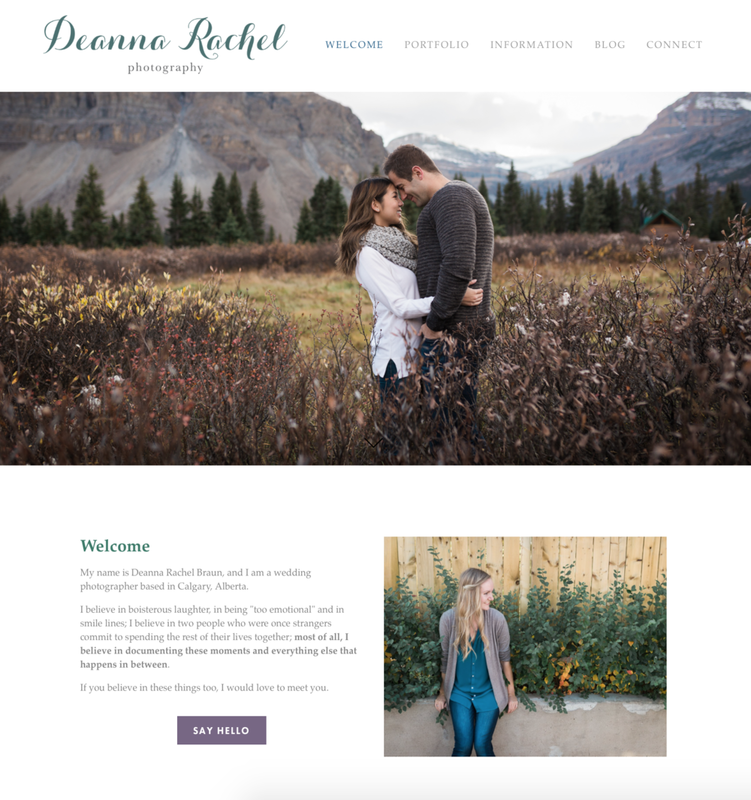 After her Wordpress website was crashed, we worked together to transfer everything over to Squarespace. 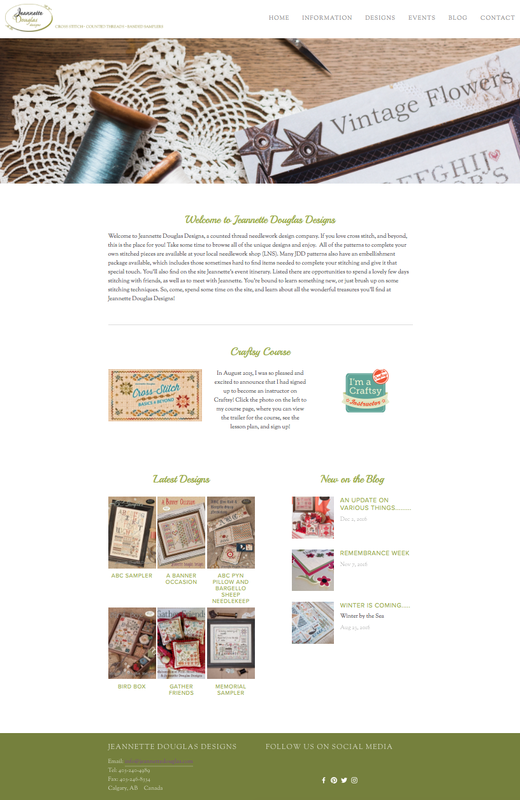 She wanted her website to function mainly as a way to showcase her new designs, as well as feature her blog. In addition to setting up her new website, I also photographed some stock photography that could be featured on her website. 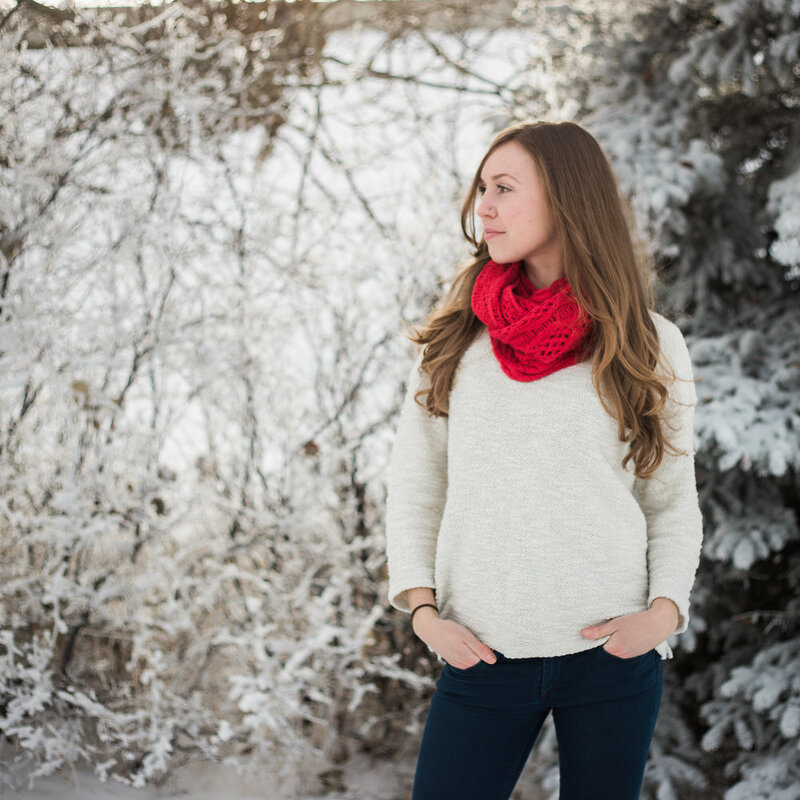 Stephanie Schoenberg is a "Holistic Nutritionist, Coach, Writer, Dancer, Poet and Dreamer based in Calgary, Alberta". In addition to developing a brand for Stephanie, we also did two photoshoots so she could have collateral for her website and marketing materials. 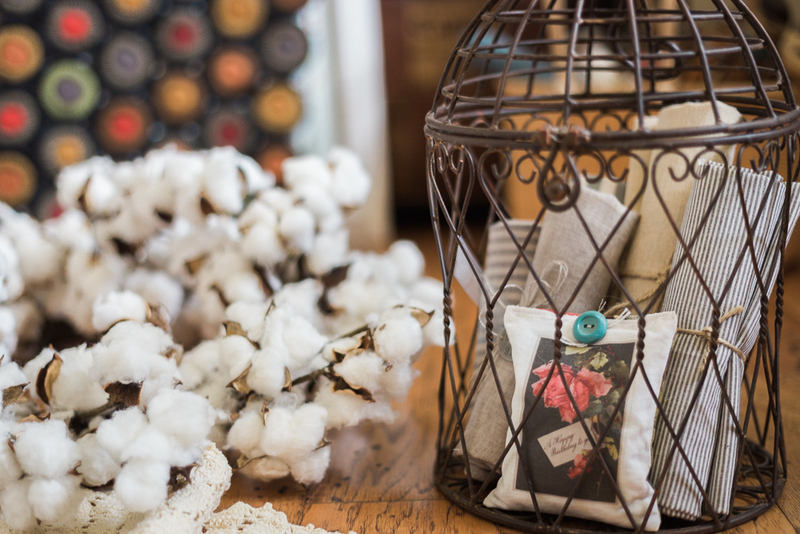 The main purpose of her website was to inspire others, as well as have people sign up for her monthly inspiration newsletter. 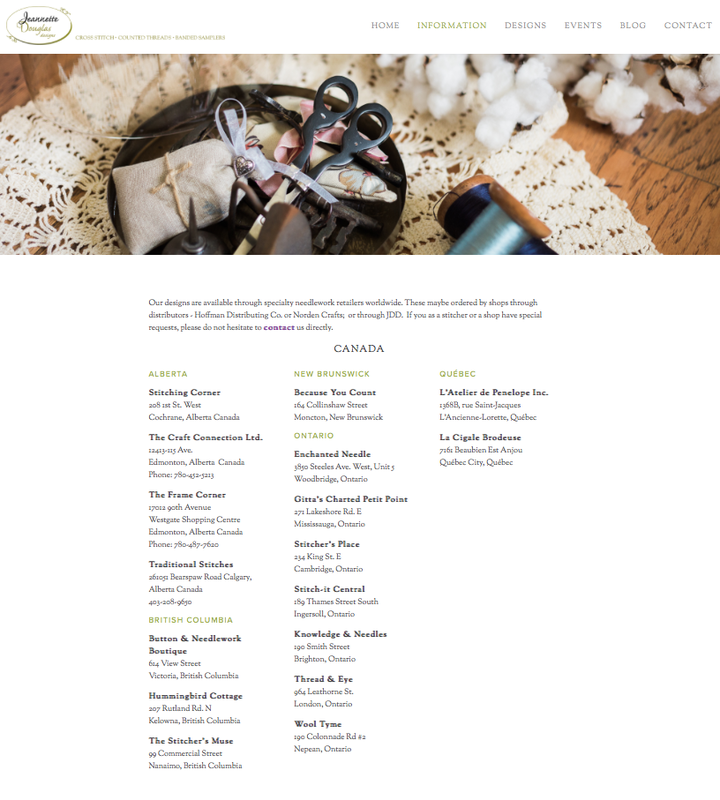 Other features she wanted to include were two separate blogs (one for her creative writing and one for her recipes), social media integration, a listing of her services, and connecting people to her separate artist retreat website. 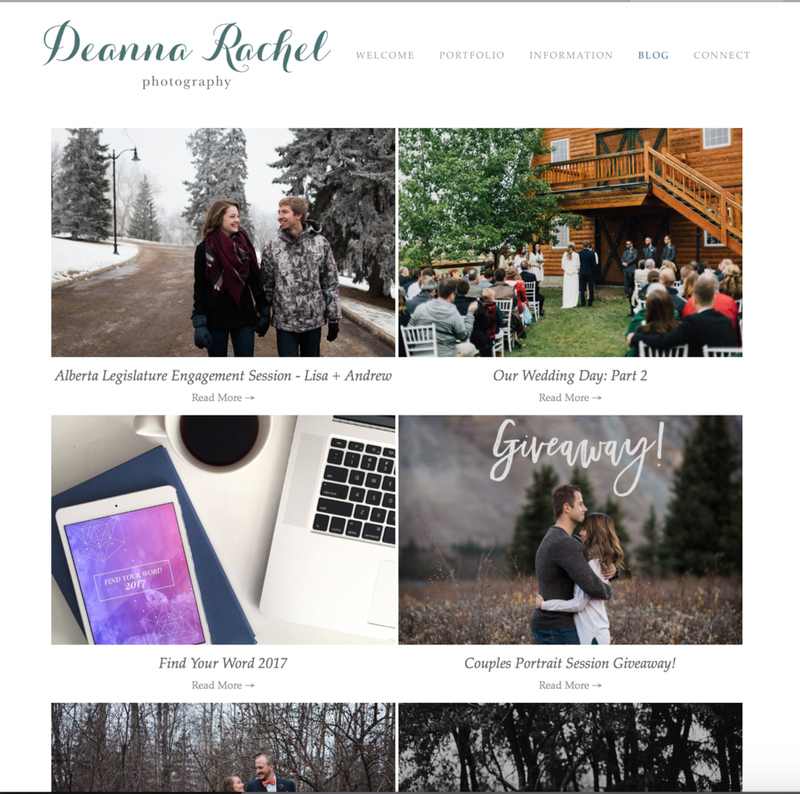 Yep... this is what you thought it was - the website I created for my other company, Deanna Rachel Photography. While some may call this a shameless plug, I'm calling it "portfolio-worthy-design".